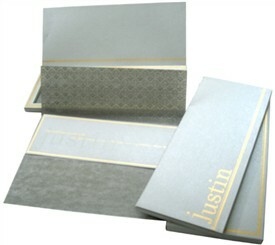 Description: Innovatively designed and interestingly conceptualized to give you a classic design for Bat Mitzvah or a Bar Mitzvah! 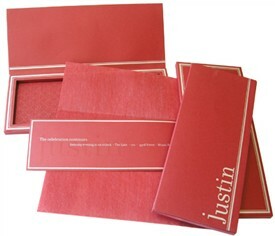 or any special occasion. 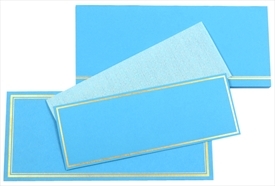 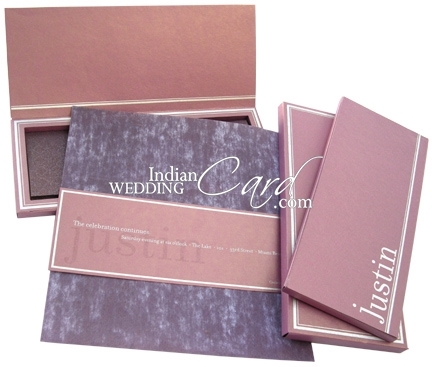 The front of this card has silver printed border design with name of Boy or Girl that can be customized as per your requirement. 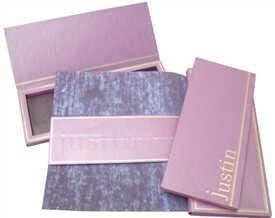 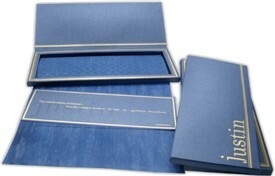 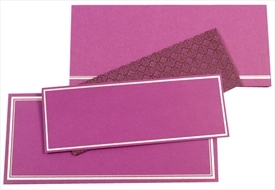 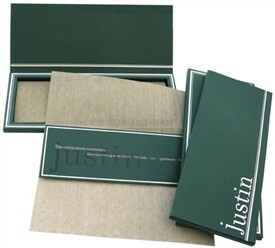 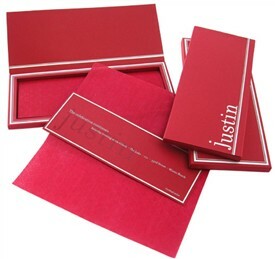 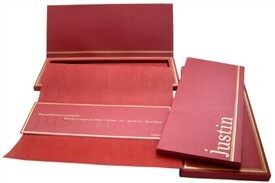 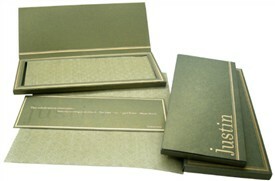 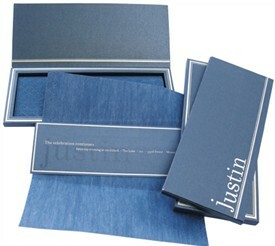 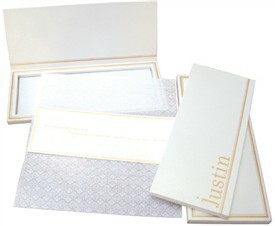 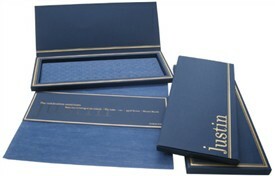 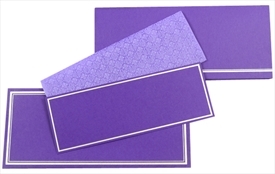 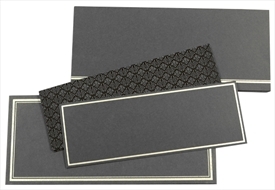 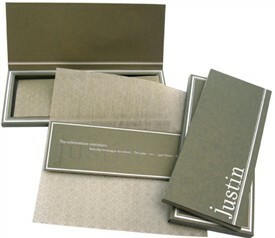 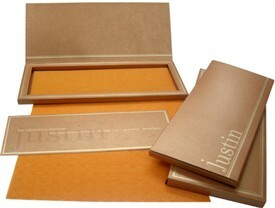 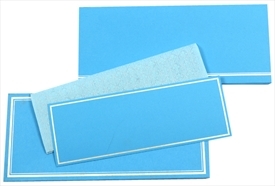 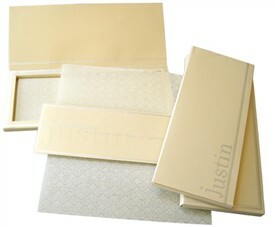 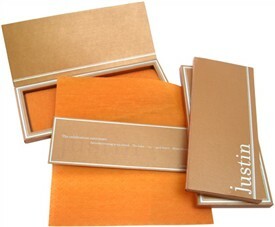 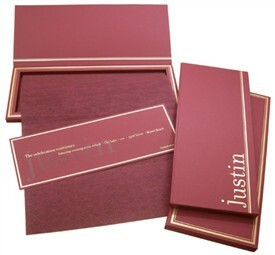 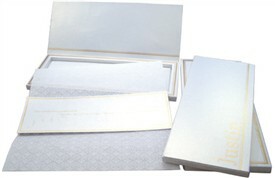 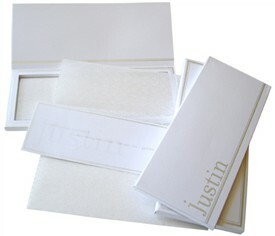 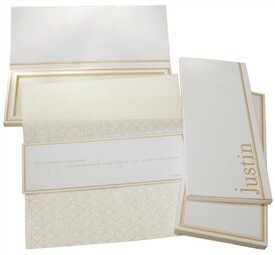 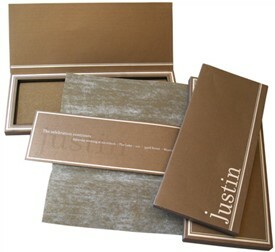 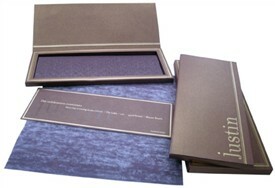 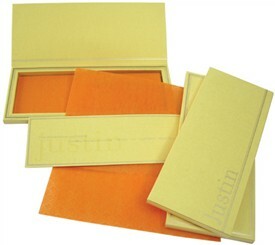 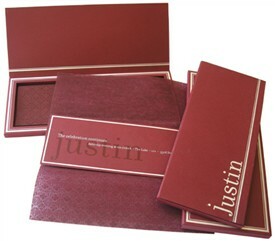 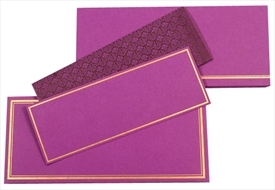 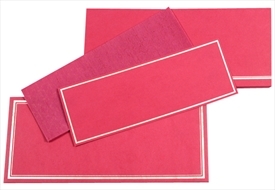 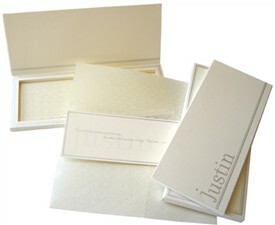 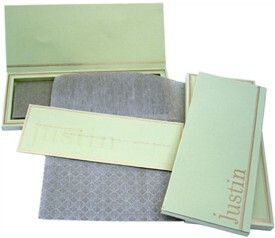 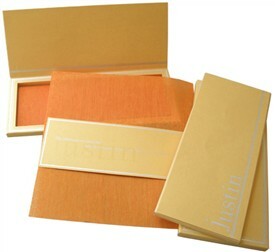 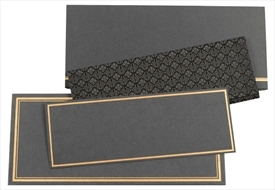 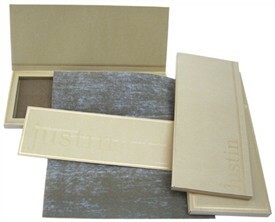 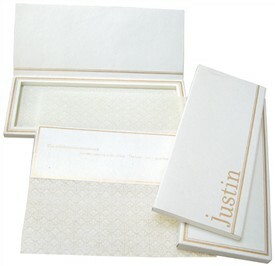 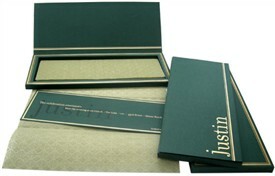 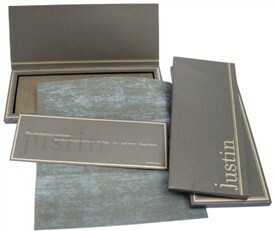 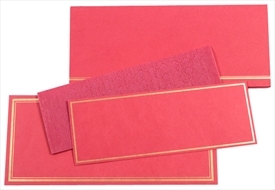 The insert wrap around has self-design printed in color matching to the card. 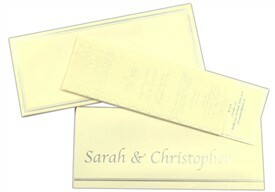 The insert too has the same line border and the name in shining self-color. 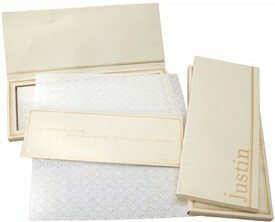 The envelope also follows the line border design. 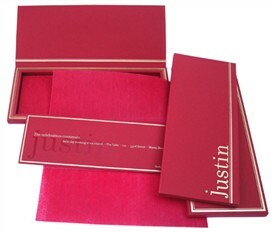 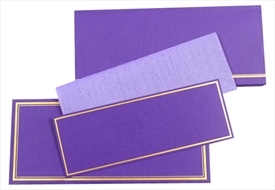 Printing Color: Silk Screen Printing in Dark Purple color.